Amazon (AMZN) is currently developing Alexa-enabled earbuds that would rival Apple’s AirPods and hit the market as early as the second half of 2019, according to a Bloomberg report that cites several sources familiar with the matter. But just because Amazon can develop them, doesn’t mean it should, says Loup Ventures managing director Gene Munster. According to Munster, Amazon faces several hurdles bringing its own wireless earbuds to market, including overcoming its own spotty track record in hardware. While the Kindle has proven a runaway hit for Amazon since the first device launched in 2007, Amazon’s foray into smartphones and tablets has been far less successful. The company’s Fire Phone, an uninspiring device released in 2014 that ran off a version of the Android operating system, was a huge flop. The company acknowledged on its third-quarter 2014 earnings call that it had a surplus of $83 million worth of unsold devices and discontinued the phone roughly a year later. The Fire Phone’s failure had just as much to do with its uninspiring industrial design as much as the operating system itself: a heavily-customized version of Android heavily skewed towards shopping on Amazon.com. As a result, the Fire Phone failed to set itself apart from the hundreds of millions of Android devices already on the market then. The other hurdle Amazon’s AirPods rival faces? Smartphone integration. 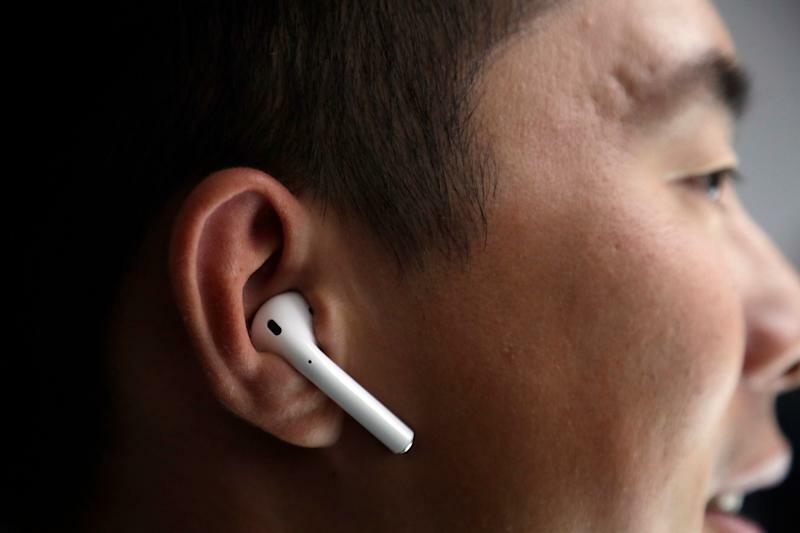 Because Apple (AAPL) develops its own hardware and software, the company is able to create a seamless experience with its AirPods, including Bluetooth syncing — a large reason why Apple has sold over 25 million AirPods since they debuted in December 2016. Amazon, however, isn’t so fortunate. As a third-party developer, the company faces more software and hardware hurdles in order to offer even a somewhat comparable experience. “Anything that orbits around the phone is where the problem is most acute, and I think it comes down to owning that mobile OS,” Munster adds. For Amazon to have a chance at selling a significant number of its wireless earbuds, Munster contends the company must accomplish three things: offer excellent audio and seamless Bluetooth connectivity, as well as aggressively price the product between $75 and $100 to undercut Apple, which sells its Airpods for between $159 and $199. Then, perhaps, Amazon may have a shot at competing on Apple’s turf.